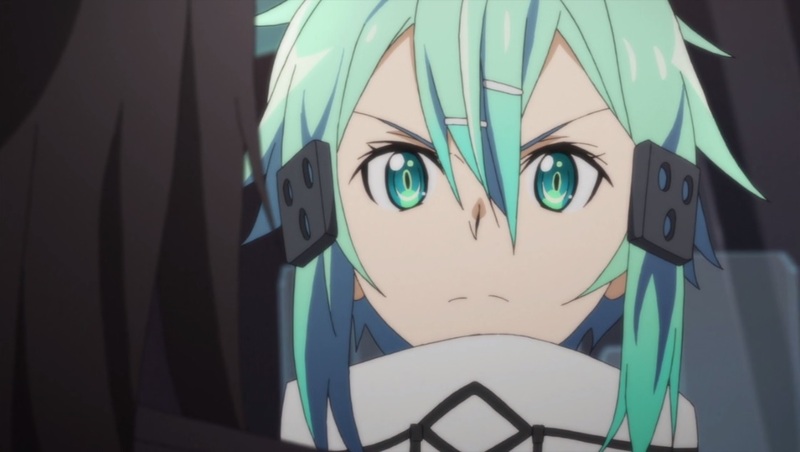 A bit of a slow episode, but we get more character development for Kirito and Sinon. Kirito’s still quite shaken up by Death Gun. He had repressed these memories, but seeing the laughing coffin mark brought them back. He can’t get over the fact that he took another person’s life. He killed them without remorse, which was understandable in the given situation. He’s always held to his values during his SAO days, but he feels as if he stooped to their level during that raid. He was no different from the other LC members. Lives were lost by his blade and it still haunts him. Aki reassures him that he made the right decision, using a good example to put his mind at ease. You can’t save everyone in the world. What matters most is that he made the best decision in the given situation (most lives saved). The fact that Kirito is still haunted by these deaths shows that he’s still human. LC members killed indiscriminately and for their own enjoyment. Whereas Kirito still bears the guilt and wishes that it didn’t have to happen. Sinon’s also beginning to show emotions in real life. 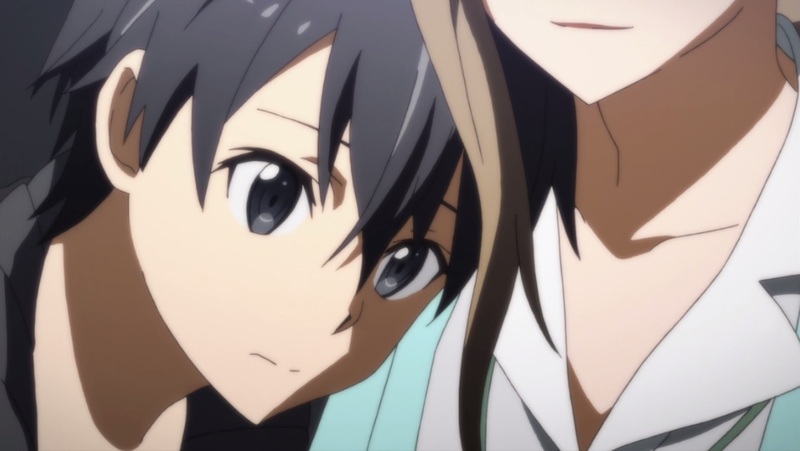 Her encounter with Kirito gave her the chance to be a “normal” girl. Even if she feels betrayed, she can’t forget about everything she experienced thanks to Kirito. By enjoying herself, she’s able to begin putting her trauma behind her. 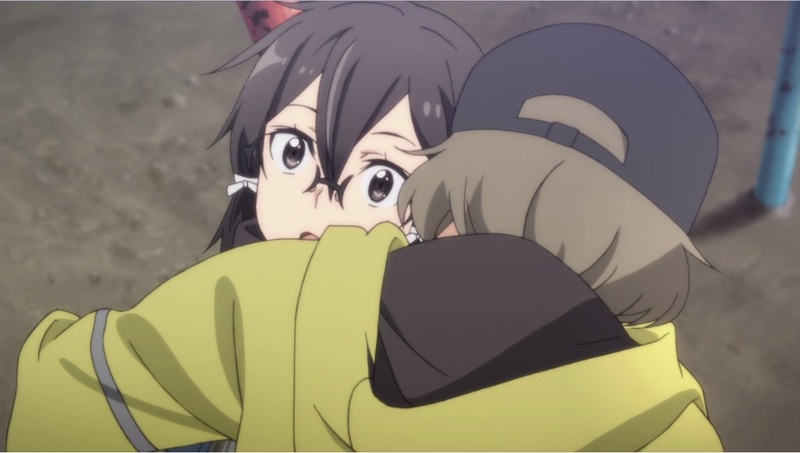 She does revert a bit though when Shinkawa forces himself onto her. You could tell that he was a bit jealous of how much Sinon was talking about Kirito. The two of them both want different things. 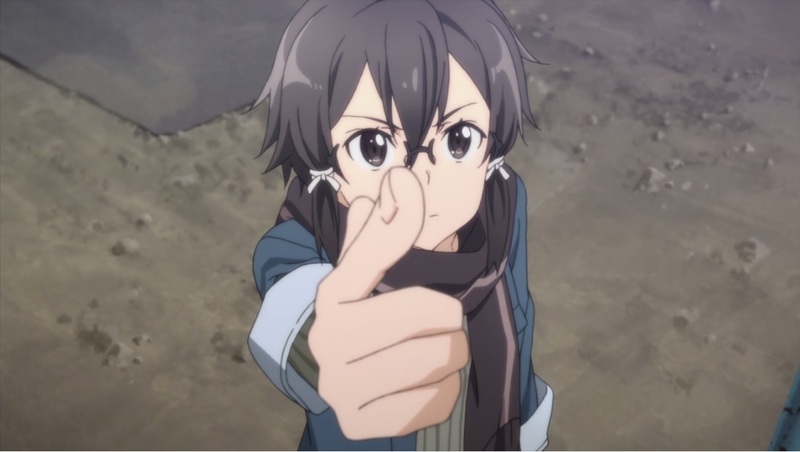 Sinon wants to be more like a normal girl while Shinkawa prefers her the way she is. He likes Sinon because she’s disengages herself from society, like himself. He’s finally found someone who thinks similarly to himself, but she’s starting to change which makes him afraid. Shinkawa is interested in Sinon but there are a lot of road blocks in the way. Sinon’s still insecure with herself. It’s hard for her to accept Shinkawa’s feelings if she’s not happy with herself. She needs time to find herself before she could even consider being with someone. The other major obstacle is that she’s met Kirito. As we can see, no matter who you are, if you’re a female, you’ll fall to Kirito’s charms (The girls can’t keep their hands off him! ).